Past studies using observational data suggested an increase in day time temperatures and frequency and duration of heat waves over India during the pre-monsoon season (April–June). 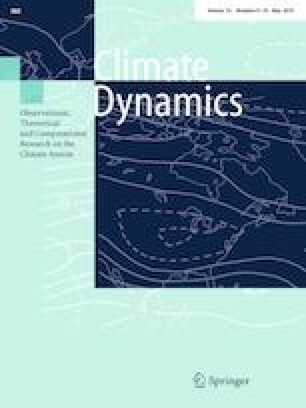 In this study, the characteristics (frequency and duration) of heat waves over India in future warming scenario has been examined using nine CMIP5 models. The RCP4.5 scenario and the period 2020–2064 were used for the analysis to examine the possible changes in the characteristics of heat waves. In spite of moderate biases in day time temperatures, the CMIP5 models showed modest skill in realistic simulation of observed heat waves in terms of spatial pattern and frequency. The models suggest an increase of about two heat waves and increase of 12–18 days in heat wave duration during the period 2020–2064. In the future climate change scenario, southern parts of India and coastal part of India which are presently unaffected by heat waves, are likely to be affected by heat waves. The spatial trend analysis of Heat Wave frequency (HWF) and Heat wave Duration (HWD) suggested that both the HWF and HWD will increase significantly over central and northwest India by 0.5 events per decade and 4–7 days per decade respectively. The study also suggests that the future increase in heat waves is caused due to strengthening of mid-tropospheric high and associated subsidence over central and northwest India. Land surface processes like depletion of soil moisture and increased sensible heat fluxes are also responsible for the increase in heat waves. The CMIP5 models also suggest that El Nino Modoki events may be responsible for the prolonged and more frequent future heat waves over India in the future climate scenario. The online version of this article ( https://doi.org/10.1007/s00382-019-04700-9) contains supplementary material, which is available to authorized users. We would like to acknowledge the World Climate Research Programme’s Working Group on Coupled Modelling, which is responsible for CMIP5, and we thank the climate modeling groups (listed in Table 1 of this paper) for sharing their model output. We are thankful to the India Meteorological Department (IMD) for supplying the high resolution gridded temperature data for our analysis. Authors are also thankful to the Editor and two anonymous reviewers for their critical comments and suggestions which helped to improve the quality of paper. PR acknowledges the support and INSPIRE fellowship grant given by DST, Government of India. PR is thankful to Savitribai Phule Pune University for the Ph.D. admission.PR would like to acknowledge Dr. Preethi Bhaskar, IITM for her timely help. Also PR gratefully acknowledges Dr. Andrew G. Turner, University of reading for his valuable suggestions.